In the age of shelling out millions of dollars for top quality players, signing a quality player on a free transfer is quite something. Transfers have become increasingly expensive these days with clubs prepared to offer millions of dollars for their needs. Free transfers are also known as Bosman signings and are considered no less than a coup in today’s inflationary transfer market. Over the course of time, a large number of players have run down their contracts and moved on to new clubs for free. Some have been successful at their new club while for some the move failed to pay dividends. Players like Andrea Pirlo, Robert Lewandowski were signed by Juventus and Bayern Munich respectively for free and went on to make a huge impact at the respective clubs. 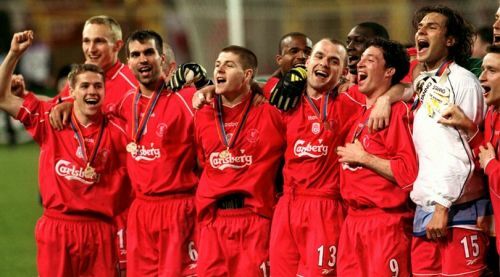 Through this article, we will take a look at the top 5 players who were signed by Liverpool for free and went on to make their mark at Anfield. Liverpool signed Kolo Toure on a free transfer from Manchester City in May 2013. He signed a 2-year contract and was handed the #4 shirt. 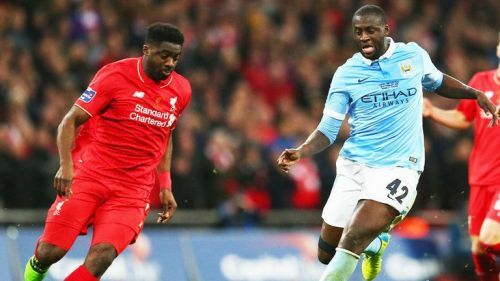 Kolo, the senior of the Toure brothers, had already won the Premier League title with Arsenal and Manchester City before moving to Anfield. He was a part of the famous “invincible” Arsenal side of 2003-04 and helped Manchester City clinch their first league title in 44 years. Toure played a big role in Liverpool’s brilliant run in the league during the 2013-14 season in which they finished a close second, just 2 points short of Manchester City. Kolo appeared 36 times in the Liverpool shirt and scored a solitary goal for the Reds. However, the former Ivory Coast international played with a beaming smile and was an instant hit with the fans. He was released by Liverpool at the end of 2015-16 season and joined Celtic thereafter.